Get a jump-start on your safety equipment needs for next season or just show that very special racer in your life that you care. PLUS!! - Receive a $10 RCE Gift Card** for Every $100 You Spend. ** Excludes Seats (see special racing seat offer below), Roll Bar Padding, Fire Extinguishers and Fire Suppression Systems. **Free Shipping and Gift Card Incentive applies to all non-sale priced safety equipment items sold at regular retail price. Dealers and quoted customers excluded from this offer. Contact our Sales staff if you have any questions. Free Ground Shipping applies to lower 48 United States only. Save now on the bulky shipping costs of racing seats! 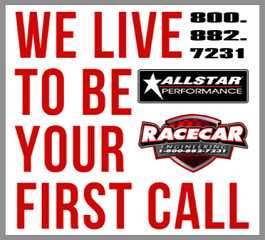 For this limited time, we are offering racing seat shipping charges at 50% off the standard UPS rates**. PLUS!! - Receive a $10 RCE Gift Card for Every $100 You Spend. **50% Off Shipping and Gift Card Incentive applies to all non-sale priced safety equipment items sold at regular retail price. Dealers and quoted customers excluded from this offer. Contact our Sales staff if you have any questions. 50% off Ground Shipping applies to lower 48 United States only. Want more? Here&apos;s a few other items you may like. Free Shipping or if you&apos;re nearby, ask about our Special &apos;Walk-In&apos; Pricing. 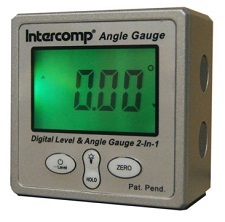 **Free Shipping applies to these non-sale priced Intercomp® items sold at regular retail price. Dealers and quoted customers excluded from this offer. Contact our Sales staff if you have any questions. Free ground shipping applies to lower 48 United States only. Looking for a &apos;Special Deal&apos; on &apos;Something Special&apos; during our 2018 Black Friday/Cyber-Monday promotion? Now is the time to speak-up! All You Have To Do Is Ask... Don&apos;t Be Shy! We have over 100,000 SKUs in-stock and ready to ship. 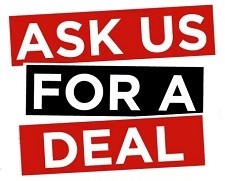 During this Black Friday/Cyber Monday promotion, we can&apos;t possibly put everything on sale, but we can work you a deal. Just contact one of our Technical Sales people and ask them to &apos;Sharpen Their Pencil&apos;... You just may like the deal they come-up for you! 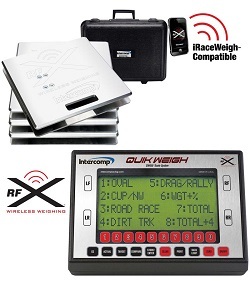 Don&apos;t forget that although our primary brands and inventory are focused on Circle Track Racing (Asphalt & Dirt), we can easily order virtually any part you need including items for Sprint Cars, Drag Racing, Road Racing, Street Performance, Pro-Touring, Muscle Cars, Hot Rods, Off-Road and Karting. So stop by if you&apos;re in the Mid-Florida area and say &apos;Hello&apos;. Don&apos;t forget you can browse our website catalogs & online store 24/7. We Look Forward To Working With You and Helping You Get To The &apos;Winner&apos;s Circle&apos;!